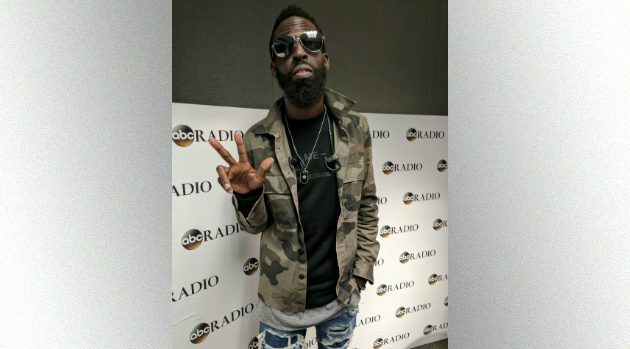 ABC RadioTye Tribbett‘s fans are very familiar with his mixture of gospel songs and trap music, but they might not know that his dream collaborator is none other than Chris Brown. “I like Bruno Mars’ presentation overall, like how his band is included as well. I like that,” Tye adds. It’s no wonder Tribbett would want to collaborate with a guy who puts on a great show. “First of all, church boy. So I know how to do, ‘Come on! Clap your hands! Whatcha doing?’ It’s just in my blood,” he adds. Tye Tribbett’s latest album, The Bloody Win (Live) is out now. For more info on future live performances, check out his website, tyetribbettworldwide.com.